1. Ateneo- Unbelievable! 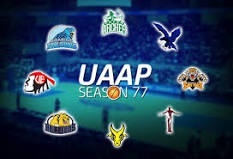 Who would have thought that Ateneo would top the elimination round? Though they had to go thru the eye of the needle in many of their matches, a win is a win no matter what. No team can count Ateneo out even if leading by 19 points with 7 minutes remaining, as FEU can attest to. This is definitely Kiefer Ravena’s team and wherever Kiefer goes, the team goes. 2. FEU – Surprising! During the pre-season, critics predicted FEU to fight for a Final Four spot. Not the twice-to-beat advantage. With the loss of Terrence Romeo and RR Garcia, the team learned how to pass the ball and play like a team. Mike Tolomia has become the new leader of the team and Mac Belo has been a revelation. FEU could have even finished number 1 had they not suffered a meltdown vs Ateneo in the last playing date of the second round. 3. DLSU – Embarrassing! DLSU won it all last year and have even improved their roster for this year. They are 3-deep in every position and were supposed to dominate this year by going 14-0! So what happened? DLSU all season long seemed to be content to win with just enough effort which was dangerous because they were ambushed by Feu and Ateneo to start their season at 0-2. Then they lost Thomas Torres and had other injuries. Why the coaching staff didn’t complete their 16-man roster haunted them. Though they won most of their games after that, they weren’t that dominating. Then, on the night before an important game vs FEU to determine which team gets twice to beat advantage, two key players participate in a fashion show. WTF?! Sorry about that but what stupidity is that! Where are your priorities? If you really had dengue, even a mild one, common sense says it’s best to rest! I guess the money was too big to pass up. And I thought you were student-athletes with a benefactor who takes care of everything. I hope for your sake it was all well worth it. 4. NU – Overachieved. Give credit to Coach Eric Altamirano for molding his players into a cohesive unit despite losing Bobby Ray Parks. This team plays tough defense and is anchored by their import Aroga. NU players are tall and athletic and most of all have learned not to collapse in the endgame. This makes them very dangerous. 5. UE – Regrettable. This pre-season top 2 pick started off at 3-4 then finished with a 6-1 run to force a playoff with NU to determine the fourth placer. Charles Mammie is the best center in the UAAP who dominates games but at times, he disappears too! Roi Sumang is a super-guard but he didn’t play that well this season. Maybe his style of play doesn’t fit the Pumaren system. UE had the momentum going into the do-or-die game but somehow faltered. I give credit to Altamirano out-coaching Pumaren to boot out UE and UE has one year to ponder what to do next. 6. UST- “Sayang.” UST had a chance of entering the Final Four with a core of Abdul, Mariano and Ferrer. Mariano didn’t play well all season. Only God knows why. Then when Kevin Ferrer went down with a season-ending wrist injury, so did the chances of UST. I believe they only beat the teams lower than them. Next year UST has to overhaul their lineup. 7. UP – Forgettable. Their coach predicted 3 wins. And when UP beat Adamson in the first round, it seemed pretty doable. But alas, as games went by, it seemed the most UP could win was two. Then they nearly beat Ateneo had Mikee Reyes converted even one free throw. That would have sent the Final Four standings topsy- turvey and UP would have had a bigger bonfire! But it wasn’t meant to be and they even lost to a determined Adamson squad. 8. Adamson – Hopeful. With 11 rookies and a new coach what could one expect? Maybe 14 losses but just avoid being blown out. Well that really didn’t happen and I’m giving credit to Adamson fans for still coming out to cheer for their young team. Next year they will have more experience playing together and they should win more games. Fans were treated to many exciting games this UAAP Season 77 and the Final Four seems to be an unpredictable one. Ateneo is number 1 and will play number 4 NU which it hasn’t beaten in two years. And defending champion DLSU needs to beat FEU twice when it has already lost to FEU three straight times. Something’s gotta give and may the best team win! My name is Scooter and I am a loving, playful beagle mix. Click on my picture to find out how you can adopt me. Why Don’t Manila Restos/Bars Serve Ice Cold Beer? Agu on Who Is Right? Why Don't Manila Restos/Bars Serve Ice Cold Beer?